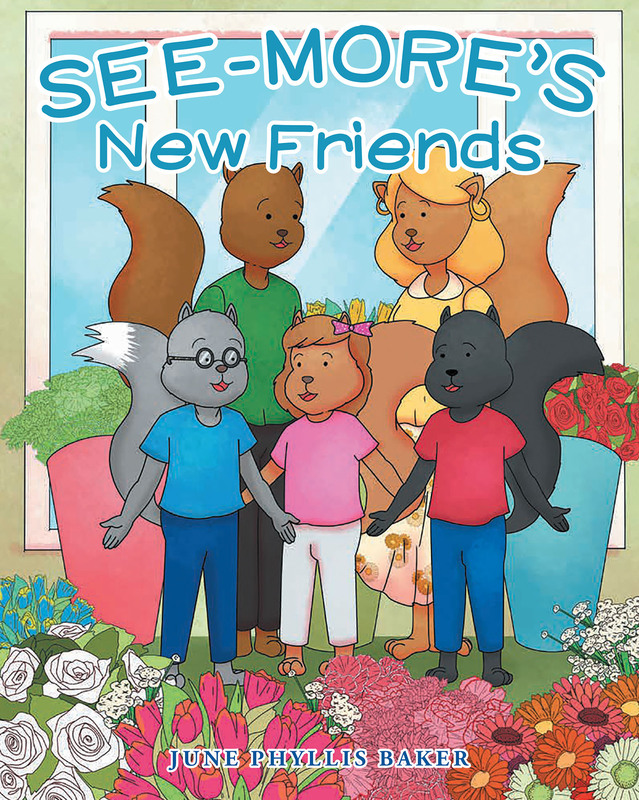 See-more is a curious squirrel who explores everything he comes in contact with and the flower shop was no exception. Except that day, he didn't follow the rules his mother set. His little visit could get him in big trouble. Finding himself bored, he hopped from tree to tree, suddenly arriving on the edge of the forest, looking down on a strange window filled with beautiful flower arrangements. He follows a brown squirrel inside the building, even knowing his mother wouldn't approve. He thought he'd gone unnoticed until he heard a voice say. "May I help you?" There stood a friendly squirrel with a big smile on her face. That day he met two new friends, Mr. Ray, the owner, and Ms. Laurie and learned that this building was called a flower shop. See-more learns an important lesson... you should never wander off by yourself and always let your mother know where you are going.